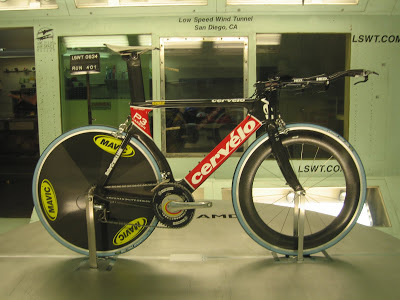 My first time trial was nine years ago at a Fiesta Island TT. I rode a Specialized M4 road bike with Spinergy Rev-X wheels and clip on aerobars. Coming from a cross-country mountain bike background, and having dabbled in multisport events the previous year, I assumed that racing and training for a time trial would be “easy” compared to MTB events. I quickly learned that the sport of time trial racing is highly technical, and it can take years to develop optimal fitness and the skills needed to excel in this discipline. In the following article, I will discuss some of the finer points of basic time trial aerodynamics I have picked up along the way, and the priorities one should consider when upgrading equipment. Aero Wheels – Using aero wheels (vs. 32 spoke box rim wheels) can save you two minutes over a 40K time trial. The fastest wheels are a deep dish front (Zipp 1080, Zipp 808, Stinger 9, HED H3) paired with a disc rear (Zipp, Bontrager, Mavic, HED). Aero wheels definitely make a substantial difference in reducing aerodynamic drag. 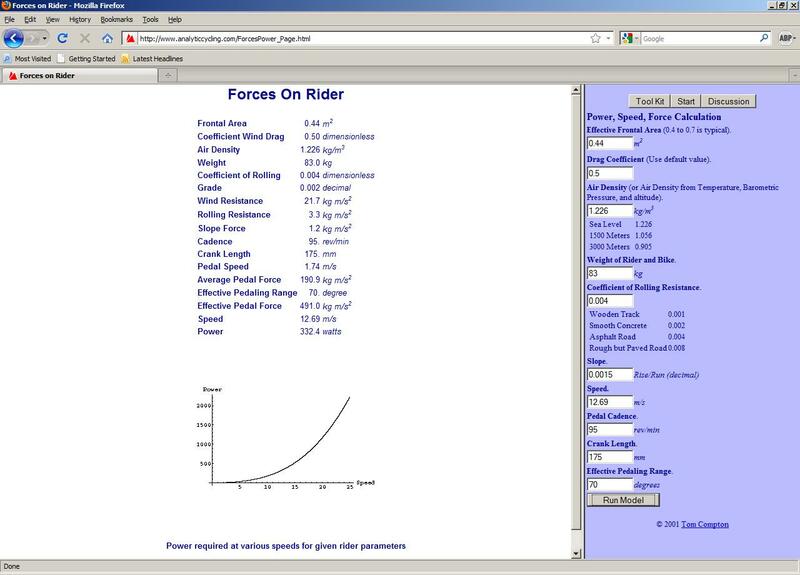 When deciding which wheels to purchase, HED makes a yaw calculator and Zipp has aero test results to help you in your decision. 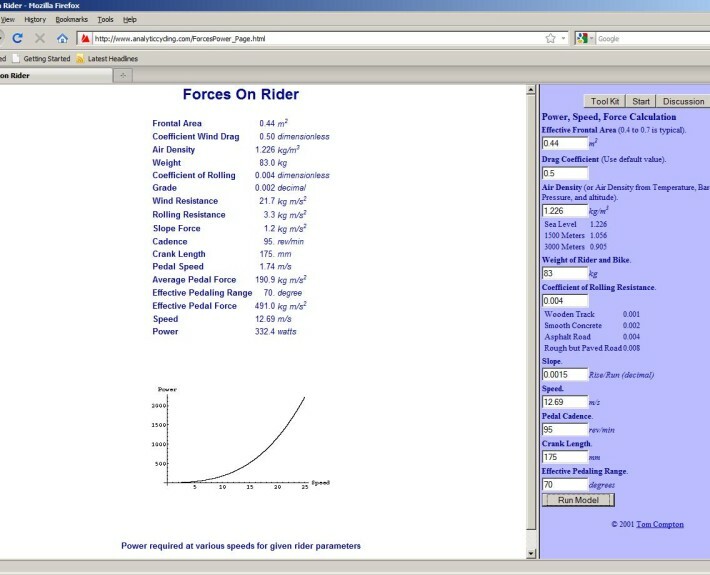 Aerobars – Aerobars are the #1 most important feature of any time trial bicycle. Integrated one-piece aerobars are more aerodynamic than clip on bars. 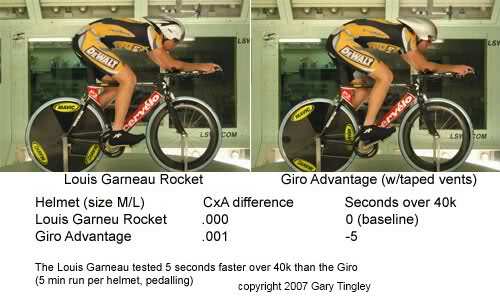 Wind tunnel tests show that using aerobars can save 4 minutes over a 40K time trial course. Currently there is an abundance of aerobars on the market, and the fastest aerobars carry the labels of Profile Design, Zipp, Bontrager, HED and Vision Tech. These new one-piece units are some of the best designed and likely the most aerodynamic aerobars made today. For clip on aerobars, the classic Syntace C2 (a triathlon favorite) has been moved aside by Zipp and Vision Tech base bar and clip on bar systems. Aero Frames – Many frames on the market claim to be aero. The most important feature that a frame can offer you is the fit, followed by aerodynamics, stiffness and comfort. Many new aero frames are designed around UCI rules. This requires a double-diamond design, and 3:1 tubing aspect ratio. If racing national championship events you should consider a UCI legal frameset. Frame aerodynamics are important, however fit is even more so. When selecting a frame, fit and comfort are paramount considerations. How do you know if the frame you are considering is aero? Start with the tubeshapes of the bicycle. Are the tubes airfoil shaped? Is the downtube narrow and deep? Is there a closely spaced rear wheel cut-out? Aero seatpost? These are some items to consider. Some of the top companies today that produce aero time trial frames are (in no particular order) Specialized, Cervelo, Trek, Orbea, Kestrel, Felt, Softride, Corima, Lotus, Elite, Quintana Roo, Aegis, Pinarello and Colnago.